​This year iNk and Iris are teaming up to help you take your art to the next level. There's always something to learn in the world of photography, so no matter your level of experience, from pure nooblet to seasoned pro, we're here to inspire you, push you, and put you in position to hone your craft. ​With three professional photographers, we'll concentrate on what you need to know with one-on-one instruction, incredible on location shooting, and a heaping helping of laughter. We're low-key, flexible, experienced and focused on your art. Ireland is a purely handsome place on our planet. With wild coasts, brilliant people, and a color scheme all its own, Ireland is an artist's dream. Details: We'll depart for good ol' Dublin on the 10th of April and link up when we arrive at the airport. From there we'll sleep, explore the city, shoot out on the streets and in the pubs, then venture back west to wander the castles and coasts - making our way back to Dublin just in time to fly back to the States. Along the way, we hope to shoot at more than one ancient site, a falconry, and the wild western coast. This Workshop needs just two more participants to be confirmed! Currently, this is an iNk only Workshop. Iceland at once conjures images of brutal cold and unforgiving weather... and, well, that's all true. However, there's much more to Iceland than snow - a rich and friendly culture, otherworldly scenery, and elves... lots and lots of elves. Really. Google it. Beyond that, Iceland offers a chance for photographers to really show what they're made of - capturing images in strident sunshine, murky cloud cover, ice that pretends to be rain, and itty bitty little bits of wind. The pay off? Images that will stand out above and beyond your competition, and bragging rights. Iceland can be a nice cushy little trip, but it's also made for the adventurous part of you... embrace your inner Viking. We'll focus on adaptive shooting, placing models in surreal environments, and creating lasting art that your clients will cherish. Weather permitting, we'll also learn about time exposures, time lapse shooting, and why photographers spend so much time staring at the horizon. You will also learn how to appreciate some really interesting and hilarious food. Details: Iceland is full of surprises. In March, it's even more so - just ask the Vikings. We'll be flexible - from the occasional volcano to waterfalls to hot springs to the warm coziness of the capital, we'll break out the 4x4's and adventure! Iceland offers stunning astro-photography when the sun dips down (and it does... a lot) so we'll bundle up and take advantage of that, too. Hokay, be honest... raise your hand if you actually know where British Colombia is on a map. We didn't either, but the lure of stunning ocean views, seaside villages, amazing food, and a six month long whale watching season is more than enough to get my adventure shoes walking. And, while we can't say that you'll get a wicked selfie with a whale, we can tell you that we'll take at least one of our days to go searching for the beautiful beasties. This Workshop needs just three more participants to be confirmed! Sword of a Thousand Truths). There are few places on earth that evoke as many legendary images as Japan. We will use this energy to break ourselves out of the everyday grind - learning to look beyond the obvious and see the epic, and create works of art that will astound your clients. We'll be shooting in the mountains, on the water, and in the deep, dark forest, all the while striving to tell a story unlike any that you've told before - all with new off camera lighting techniques that are both portable and effective. this might be the epic journey that you need. Details: We'll fly into beautiful Narita, just northeast of Godzilla's stomping ground in Tokyo, and then begin to explore up the northern coast from there. Our goal is to capture both the urban craziness and incredible (legendary?) rural settings in Japan - juxtaposing the two in order to create something truly unique. 1. Travel light or suffer mightily. 2. Meteorologists are all liars. Dang. it. DANG it. I was so close, and there New Zealand comes along and ruins it all... there really is one place in the world that has everything when it comes to photography. And we're not talking about your average, run of the mill, epic style mountains and oceans and forests and unending plains... these are good enough for Hobbits. It is the singular location for landscape photographers. For wildlife photographers. For portrait photographers. For Astro-photographers. For every gosh darn kind of light wrangling that you can imagine... this is the spot. It does, however, come with a price. You'd better like flying. Driving. Hiking. Wandering. This is our most travel intensive trip this year. Not only is New Zealand a good long way from anywhere, the locations are also spread out from as far north to as far south as you can go on the islands. Thankfully, there are plenty of places in between with throughly charming people, the food of your dreams, and a healthy helping of moment to moment splendor. I don't use any of those words lightly. Details: This will be a trip where we focus on learning how to travel light (with pre-travel sessions devoted to just this skill), how to shoot in any condition, and proven methods of creating photographic art in the single most beautiful spot on earth. Did I mention that it's pretty? This Workshop needs just five more participants to be confirmed! Why should we go with you? ​1. With more combined years of combined knowledge than we'd ever care to admit, Iris and iNk have racked up the experience points, traveled far and wide, and created photographs in just about every scenario that we've been able to dream up. 2.  We recognize that no two photographers are alike in style or need, and fully customize every one of our workshops to your specific desire to learn. Start making your list, we'll start checking boxes. We want you to come away from our workshops feeling refreshed, inspired. 3. Photography is a competitive profession and we've successfully made it our own for a long time. We want you to stand apart from your competition, able to both top your market and maintain your own style. Most of the folks who ask this are wondering one thing, "I'm not a photographer, but I'd love to come along and have family portraits taken while we explore." By all means, come and enjoy the journey - and along the way we'll create some gorgeous images for you to remember forever. We have folks who come along every year just to have their family portraits taken in gorgeous locations. In this case, the session fee does not apply to you as you're coming along to be photographed, not to absorb our vast knowledge on the topic. We simply have you place your minimum order of $1000 prior to departure, and then when you come home, you have a thousand green rectangles worth of credit waiting to put toward gorgeous photographs. Do I need to be a professional photographer? Not just no, but heck no. Listen, we all started somewhere, and not everyone even wants to be considered a professional. What we care about is the joy and art that lies within photography and your eagerness to both share what you've learned, and to launch into new things. Well, you'll have to bring yourself to our first meeting place and get yourself home (that is, if you want to leave), feed yourself without spilling too much, find a place to lay your head at night, and be a good citizen of the world. (We'll offer lodging suggestions, but we want everyone to feel free to choose where they'd like to stay along the way.) Depending upon the trip, on site transportation will usually be provided in the form of a giant van - though everyone should feel free to rent a vehicle if they'd like to caravan along and explore at will in the off hours. The dates that we have listed are departure and arrival dates with our workshop dates held each day in between - though everyone is encouraged to stay as long as they wish both before and after those official dates. How many people have to book before you'll confirm a workshop? This all depends upon the trip. We like to keep our numbers low so that we can concentrate upon everyone who participates. Generally, we like between six and a dozen folks to come adventure with us! Hey DJ, do you take requests? Sure do. Where do you want to go hone your craft? We're an adventurous sort of crew... we're game. Okay, I'm in... how do I book a spot in a workshop? ​Just give us a call or send an email and we'll get you on the roster.